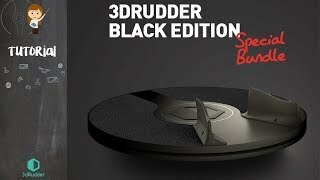 The black pads are a must-have accessory for gamers who want to customize their 3dRudder controller with an all black look. Parcel includes a pair of adhesive black pads. Parcel includes a pair of adhesive black pads. Installation takes less than 5 minutes. Watch the video for more information.